Dating back to the Civil War, this midtown Harrisburg gem claims to be the oldest continuously operating market in the United States. 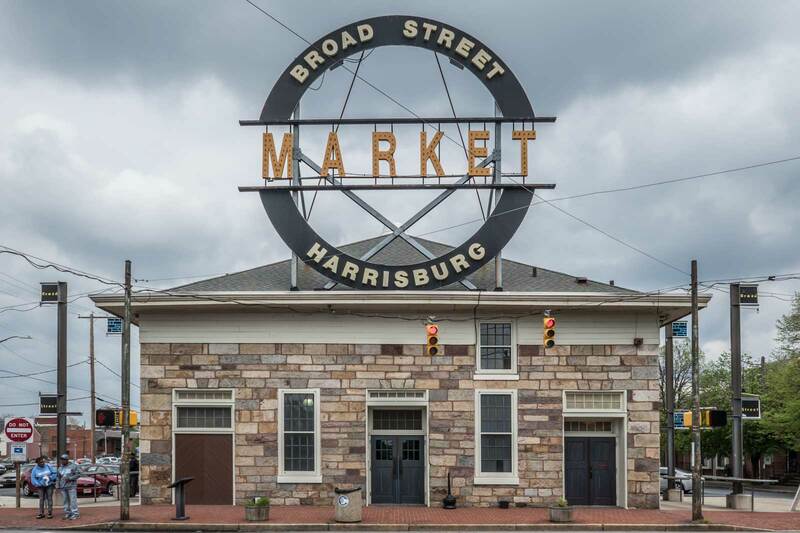 With nearly 40 vendors between two buildings, you can get all of the local and international foods Harrisburg has to offer and more at the Broad Street Market. African, Greek, Indian, Italian, Korean, Mexican, Polish, Spanish, and of course, Pennsylvania Dutch cuisine are all on offer Thursday through Saturday. There are also vendors selling chocolates, craft beers, fresh seafood, olive oils, pastas, wines and a variety of baked goods. The market is a short walk from the Capitol Building as well as the Susquehanna Riverfront. Housed in a Romanesque Revival-style two-story red brick building, York’s Central Market occupies an entire city block. The market has been operating since 1888 and the building has been on the National Register of Historic Places since 1978. More than 50 vendors set up shop in the downtown market, which is open Tuesdays, Thursdays, Saturdays and evenings on the first Friday of every month. The market has a Pennsylvania Dutch feel, but there is also Asian and Mediterranean food available as well as a burrito truck inside of the market. America’s longest continuously operating open-air market was established before there was a United States of America. The Easton Farmers’ Market was founded in 1752, the same year the city of Easton was founded. The farmers’ market is open Saturdays from 9-1 and features food from local restaurants as well as specialty vendors selling breads, cheeses, olive oils, pastas, and more. The Easton Public Market is located one block west and is open Wednesday through Sunday. Inside, you’ll find cakes, chocolates, crepes, French macarons, fresh seafood, Neapolitan-style pizza, a noodle bar, and more. There’s seating inside as well as a parking lot in the back. Fun fact: The Declaration of Independence was only read publicly in three places. One of the three locations was Easton’s Great Square, just a few blocks from the Northampton Street Bridge to New Jersey, where the Easton Farmers’ Market is still held every Saturday. Open Thursday through Saturday. the Fairgrounds Farmers Market is located next to the Fairgrounds Square Shopping Mall. It’s roughly four miles north of downtown Reading, which means it’s easy to find parking there. 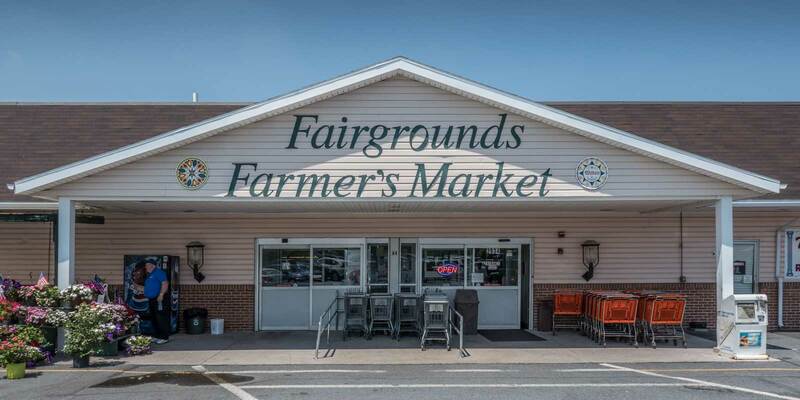 In addition to the typical Pennsylvania Dutch fare on offer at most Central Pennsylvania markets, the Fairgrounds Farmers Market offers $10 haircuts, pet supplies, flowers, and other plants. Decades before there was a United States of America, there was the Lancaster Central Market. It claims to be America’s longest running farmers’ market (since 1730). Sorry, Broad Street Market! The market does a superb job of blending Victorian charm, agricultural heritage, and multiculturalism. Take advantage of the opportunity to try local (Amish) specialties like sticky buns and whoopie pies. Its convenient downtown location makes the market an ideal base from which to explore the rest of the city. Reading Terminal Market has its own mascot takes up more than one city block in Downtown Philadelphia. The market is open 7 days a week and gets its name from the Reading Railroad Company which owned and operated the market until 1976. Two of the more than 100 vendors date back to 1893 when the market first opened. There are two seating areas in the middle as well as a diner with seating on the south end. Episodes of Man v. Food, the Food Network’s Guilty Pleasures, and Andrew Zimmern’s Bizarre Foods have been filmed at Reading Terminal Market. The market is conveniently located next to Jefferson Station (SEPTA regional rail) and is also easily accessible via the underground Market-Frankford (blue) line. Compare hotel prices, read reviews and book your Philadelphia hotel at TripAdvisor! These are some pretty cool markets. I have to pin this for when I visit Pennsylvania. I LOVE food. And it’s crazy (and handy) that you can even get a haircut during a visit. Nice! These sound wonderful and I feel like I miss out on so much living in the UK! These look so cool, thanks for sharing! I have friend that is from Pennsylvania originally and we met when she moved to England to go to my university and we studied the same course. I remember her telling me about the farmers markets and the Reading Terminal Market looks fab! I love urban markets. We have a new one opening up here is Sacramento, CA that will be within walking distance. I can’t wait for it. Great post! I didn’t know there were so many markets in Pennsylvania. I was surprised to hear Easton Farmers’ Market was founded so long ago as its often claimed that Toronto’s St. Lawrence Market is north america’s oldest market but from what I can see the St Lawrence market was founded in 1803 which means the Easton market predates it. Fantastic that it is still in operation and thriving! I lobe going to farmers markets; both locally and when I travel. It’s a great way to sample new foods and learn about crops in season. I’ve been to Reading Terminal in PA but not the others. I never knew the declaration of independence was only read publicly in three places! I always love knowing new fun facts. And I’m glad to see see there are still bloggers that love putting history into their writing!